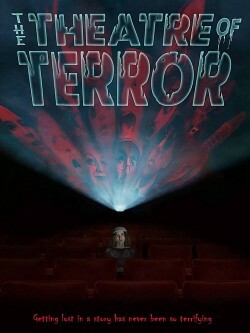 The Theatre of Terror is basically a very charming throwback to anthology movies of old as well as TV series like the original Twilight Zone and Outer Limits, films and shows that put storytelling above spectacle and always came up with twists and turns to lead their genre stories to surprise endings while carelessly hopping from sci-fi to fantasy to horror and back again and without spending too much time to explain everything away unnecessarily. And like all these, The Theatre of Terror seems to basically just enjoy a bunch of macabre stories, without falling into the bad habit of post-modern genre reinterpretation, over-Easter egging or self irony where it's not due. Instead, it relies on solid storytelling, carried by a swift directorial effort, special effects that work without drawing too much attention to them and distract from the story, and an ensemble cast truly up to the task. Fun watching for sure!